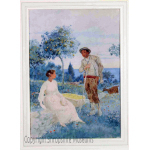 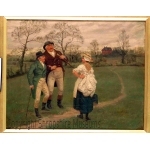 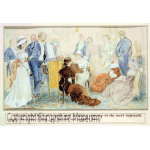 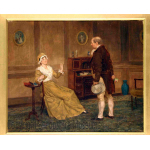 Search Results for: "Fine Art"
A watercolour painting by Randolph Caldecott, entitled "The Goatherd's Courtship", undated. 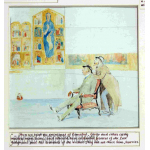 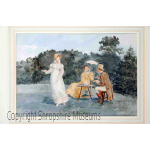 Watercolour painting by Randolph Caldecott, entitled "Strawberries and Cream"
Watercolour painting by Randolph Caldecott, entitled "Out of Favour". 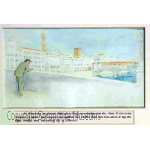 Watercolour drawing by Randolph Caldecott, entitled "Oakball lolling on bridge". 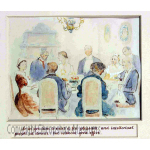 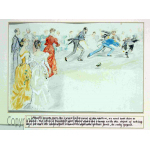 Watercolour drawing by Randolph Caldecott, entitled "The Cotillon Preliminary"